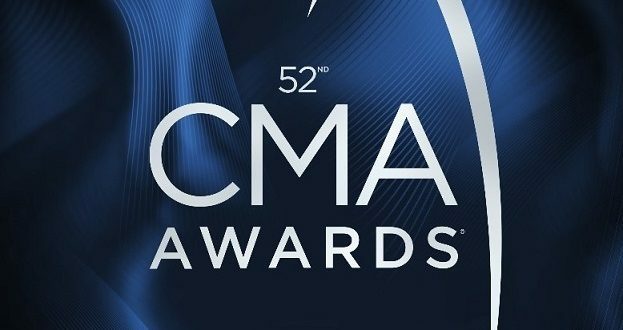 The Country Music Association Announces “The 52nd Annual CMA Awards” Nominees – Fanfare Cafe – Entertainment Magazine and Event GuideUpcoming concerts, Broadway shows, movies…and more! The Country Music Association has announced the final nominees for “The 52nd Annual CMA Awards,” as Chris Stapleton tops the list of finalists with five nominations. Producer and musician Dann Huff receives four nominations, the second most nominations this year, while nine garner three each—Jason Aldean, Dierks Bentley, Dan + Shay, Florida Georgia Line, Chris Janson, Miranda Lambert, Midland, Thomas Rhett and Keith Urban. This year marks Keith Urban’s 14th nomination for Male Vocalist of the Year, 11th nomination in the Entertainer of the Year category, and his sixth nomination in the Album of the Year category for Graffiti U, bringing his career nominations to 45 with 11 total wins. Urban shares the nomination with the albums producers Dan McCarroll, J.R. Rotem, Josh Kerr, Jason Evigan, Greg Wells, Benny Blanco, Ed Sheeran, Johnny McDaid, Jesse Shatkin, Jimmy Robbins, Oscar Holter, Matt Rad, Eric Valentine, Ian Kirkpatrick, Mike Elizondo, Captain Cuts, Copperman, Huff, and Peter Karlsson. Urban is the reigning Single of the Year winner for his song “Blue Ain’t Your Color,” which he also produced. Winners of “The 52nd Annual CMA Awards” will be determined in a final round of voting by eligible voting CMA members. The third and final ballot will be emailed to CMA members Monday, Oct. 1. Voting for the CMA Awards final ballot ends Tuesday, Oct. 23 (6:00 PM/CT). All balloting is tabulated by the professional services firm Deloitte. The Mountain – Dierks BentleyProducers: Ross Copperman, Jon Randall Stewart, Arturo Buenahora Jr.
“KYGO Morning Show” (Tracy Dixon, Guy David, and Patrick Knight) – KYGO, Denver–Boulder, Colo.
“Obie & Ashley In The Morning” (Obie Diaz and Ashley Stegbauer) – WWKA – Orlando, Fla.
“The 97.5 WPCV Breakfast Club” (Roger Todd, “Julie K.” Kansy, and “D.J. Thee Trucker” Dale Sellers) – WPCV, Lakeland–Winter Haven, Fla.
“The Odd Squad” (Roger Rhodes, Robyn Adair, and Dan Carson)– CKRY, Calgary, Alta. “Barrett, Fox & Berry” (Bill Barrett, Tim Fox, and Tracy Berry) – KKNU, Eugene–Springfield, Ore.
“The Good Morning Guys” (Todd Harding, Susan Moore, and Brian Gary) – KUAD, Ft. Collins–Greeley, Colo.
WYRK – Buffalo–Niagara Falls, N.Y.